Looking for a unique way to celebrate Valentine's Day? 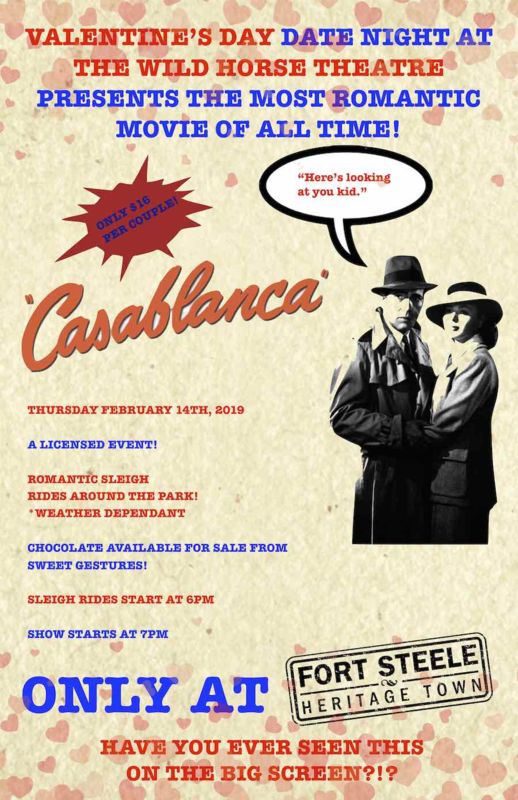 The Wild Horse Theatre at Fort Steele presents Casablnca, the most romantic movie of all time! For only $16 per couple, you can enjoy the movie and a romantic sleigh ride around the park.